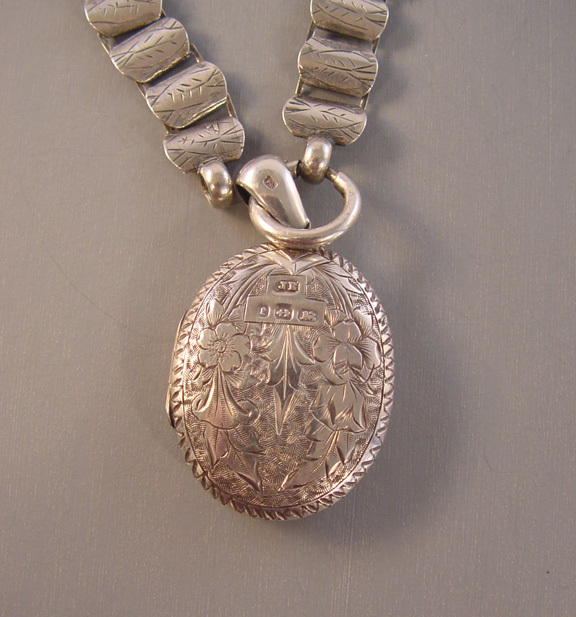 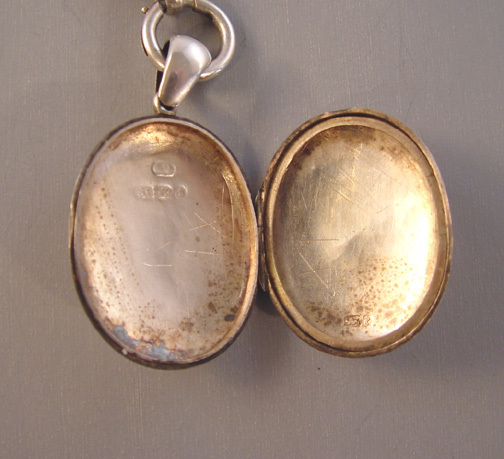 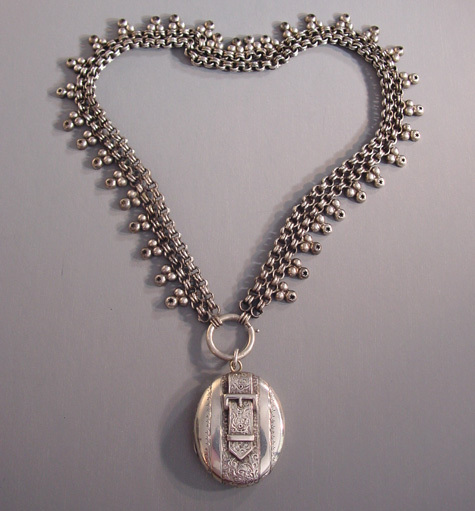 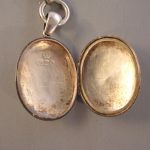 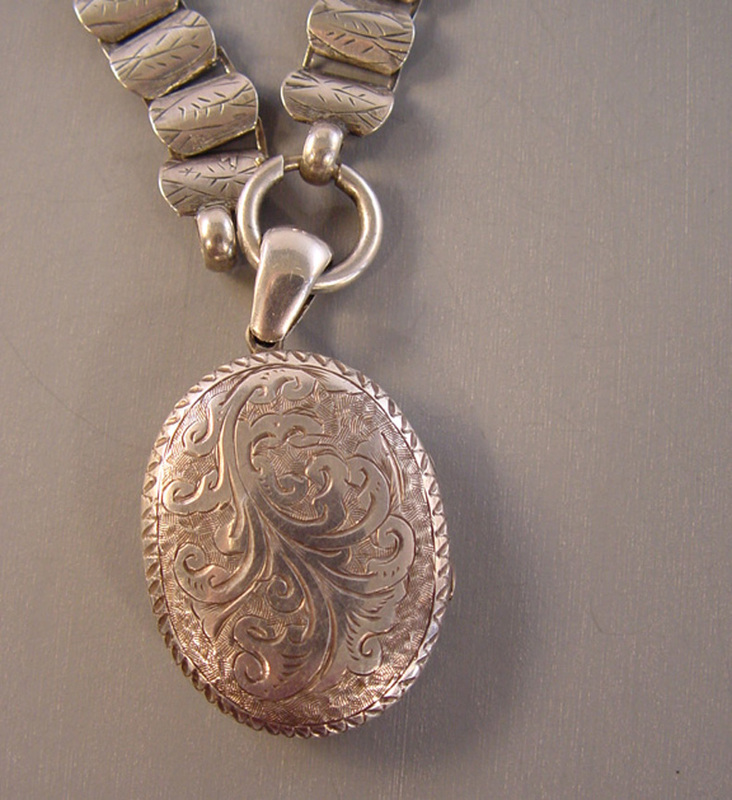 VICTORIAN antique sterling locket and collar with the locket hallmarked for Birmingham sterling 1879, maker "JE". 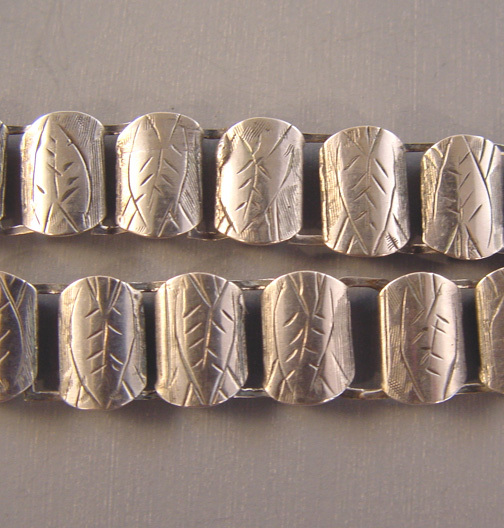 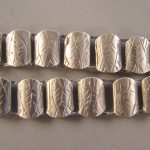 The collar has no hallmark but tests as sterling, and that is often the case with these collars. 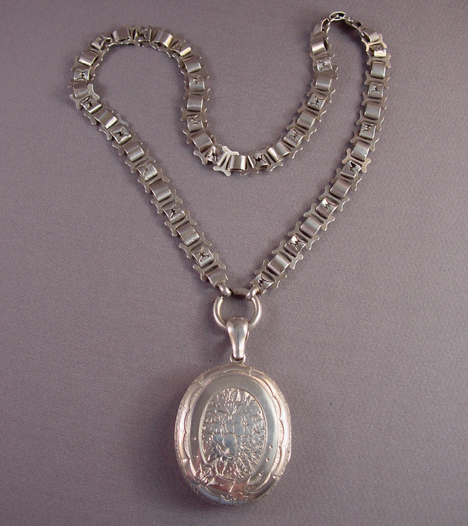 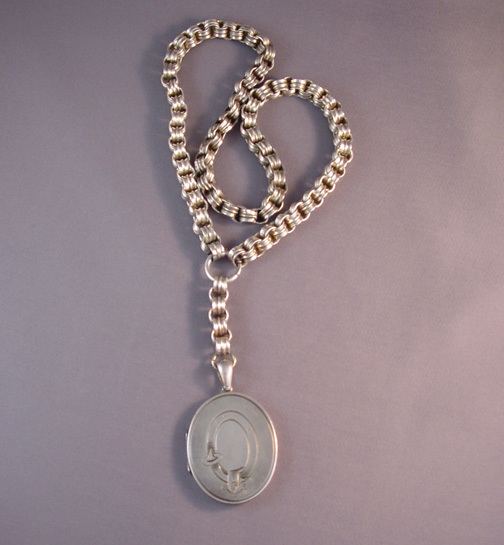 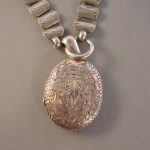 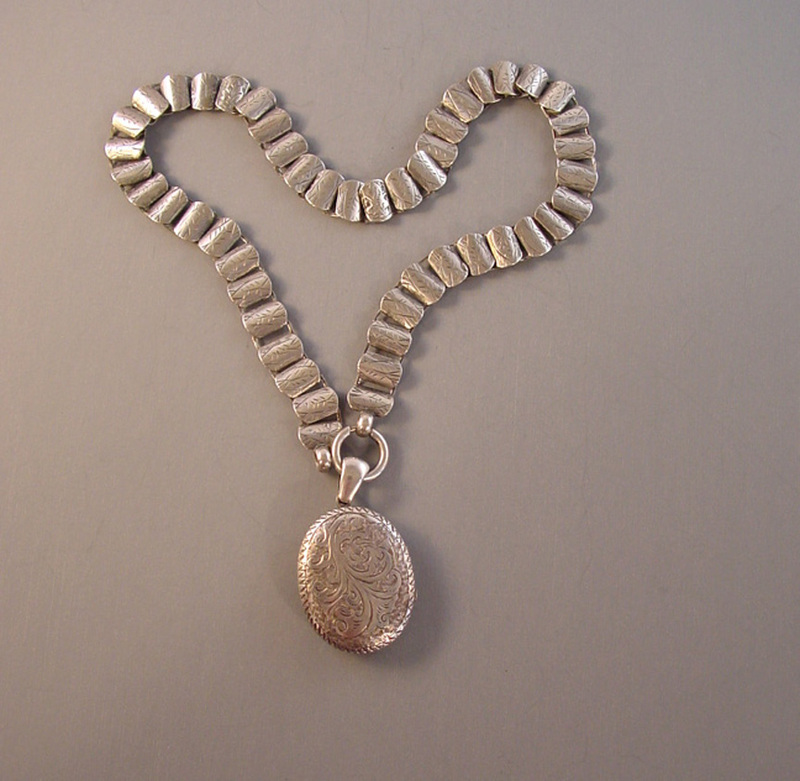 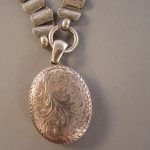 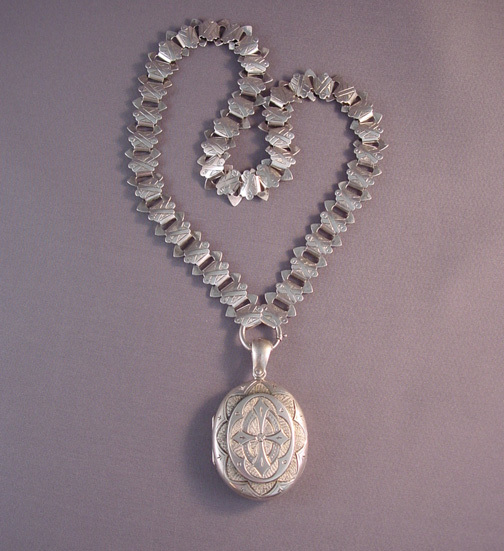 There is a fitting but no cover for a photo inside and the locket is 1-1/3" by 1", the collar wearable length is 16" by 7/16". The design on one side of the locket is scrolls and on the other side flowers and leaves, all beautifully done.